Last month, we met three firms that colleges are using to monitor athletes on Facebook and Twitter. It's ethically and procedurally dubious work, so you might assume the companies would be extra-scrupulous about how they run their own businesses. According to state corporation filings and documents obtained through open records requests, though, it looks as if one of the companies, Varsity Monitor, was doing its business in violation of state law. THIS SERVICES AGREEMENT, and any addendum attached hereto, (referred to collectively hereinafter as the "Agreement"), effective [date] (hereinafter the "Effective Date"), and entered into by and between Varsity Monitor, a Delaware limited liability company, having its place of business at 353 Lexington Ave, 14th floor, New York, New York, 10016, and [client school] (hereinafter "Client"), having a place of business at [school's address], sets forth the terms and conditions of Varsity Monitor's provision of Social Media Monitoring Services to Client. Pretty standard. The Delaware address that Varsity Monitor uses actually belongs to a rent-an-office company there, which will collect mail and hire out conference rooms by the hour. But many corporations have virtual headquarters in Delaware for tax and legal purposes—including our parent company, Gawker Media. But the New York address is a problem. The 14th floor at 353 Lexington Avenue belongs to a single tenant: Gotham Direct, a marketing firm with offices in New York and London. 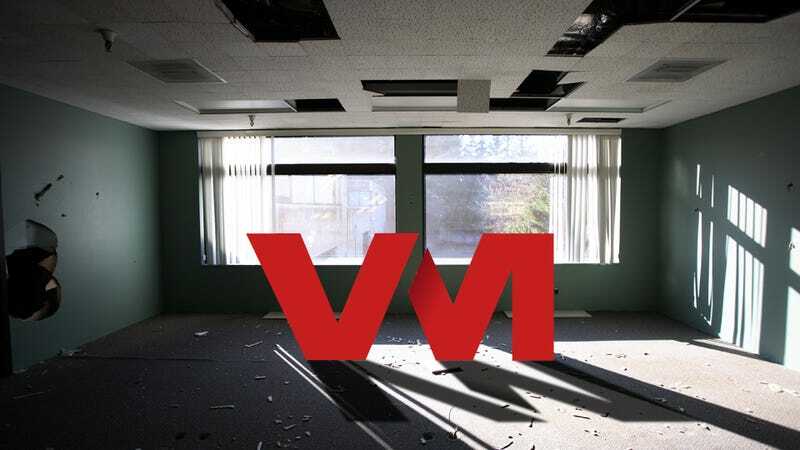 When I called them, a staffer told me that they had never heard of Varsity Monitor, or its CEO, Sam Carnahan, the former motor-oil salesman whom we've met before. There was "no way" Varsity Monitor had offices on the 14th floor. So, where were the actual offices, if not in Midtown or Delaware? According to the invoice provided by the University of North Carolina, Varsity Monitor does business at 15 Essex Road, Essex Fells, N.J. Zillow tells us that it's a tiny suburban home. It's, unsurprisingly, Carnahan's house. The problem? Varsity Monitor wasn't authorized to do business in New Jersey. It couldn't legally do business at its supposed office in New York, either. "Foreign corporations"—which here means corporations formed in other states—must register with the states they wish to operate in. They have to pay local fees and taxes. As of yesterday morning, the New Jersey Department of the Treasury had no record of the firm. Nor did the New York Department of Corporations. Which means that Varsity Monitor definitely had not paid the fees required of it by law. According to two lawyers I spoke with—Stuart Kagen, a partner who handles business litigation with Shustak Frost in New York, and Eric Hellige, head of the corporate securities practice at Pryor Cashman—Varsity Monitor probably isn't in violation of New York state law, because it appears the firm did no actual business in New York. Perhaps clients might take issue with Varsity Monitor putting a false, more impressive-sounding Lexington Avenue address on private contracts, but the state of New York won't. New Jersey, though, appears to be the place where Carnahan's company had been doing actual business, despite the lack of registration. • We have a long standing professional relationship with a leasee at 353 Lexington Avenue NY NY, and throughout 2011, used a portion of their offices for meetings and other professional services. "Recently" is an understatement. When I called the New Jersey Department of the Treasury this morning to check again, it reported that Varsity Monitor has registered as of June 13, 2012—that is, yesterday. Image by Jim Cooke; photo via Peter Kim/Shutterstock.